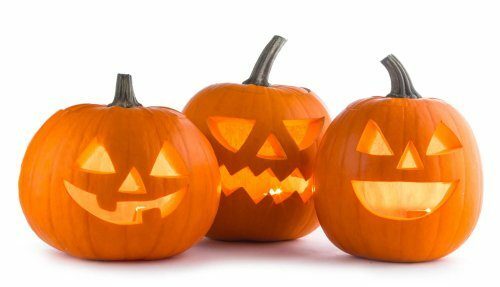 Pumpkin carving is a much-loved family activity around Halloween and can be fun for children of all ages. 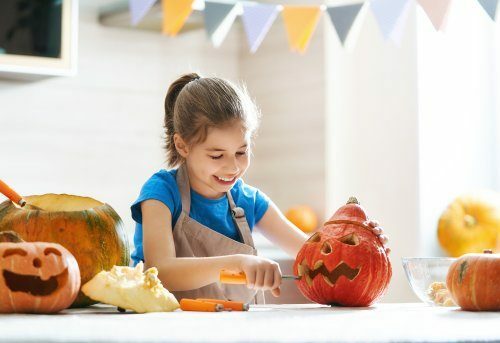 To help ensure your children have an enjoyable and safe pumpkin-carving experience, we’ve put together a list of tips, tricks and tools. 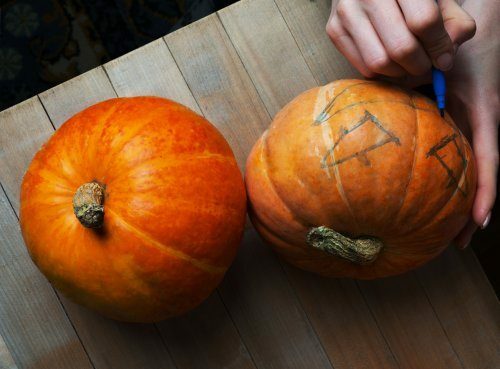 Attempting to carve out a design on a pumpkin can be a difficult job. Using a carving kit takes away the risk of injury to young children and leaves you with a truly spooky design. The carving kits are widely available in shops nowadays and often come with the tools included. A safe pumpkin-carving experience starts with choosing the right pumpkin. Ask your child to help you find a pumpkin with smooth, less bumpy skin. A smooth pumpkin will be easier for them to draw on and safer for you to carve. Avoid a pumpkin that feels heavy for its size. This can indicate thick walls that could be difficult to carve. Ask your child to help you “inspect” the pumpkin to be sure it doesn’t have any nicks or cuts that may make it vulnerable to infection. Scooping out the goop of the pumpkin is often children’s’ favourite part to do. However, it can be quite a messy and difficult job. Using an ice-cream scoop makes the task easier for children to do. Make sure the insides of the pumpkin are put straight into a bin to avoid any unnecessary mess. 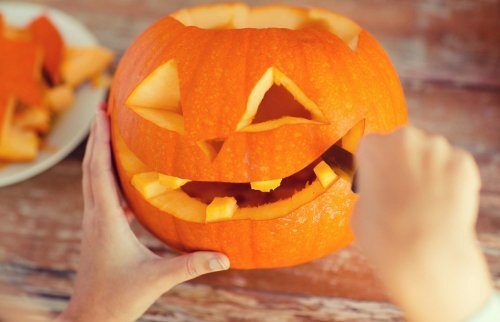 Young children love joining in with the pumpkin fun, however they should keep away from any sharp tools when carving. To keep them occupied and involved in the activity, give children a smaller pumpkin to decorate. From covering the pumpkin in glitter or adoring it in googly eyes to transforming it into their favourite character, younger children will enjoy the Halloween activity. Burning candles are a potential fire hazard, and they can be especially dangerous around kids. This year try illuminating your pumpkin with an LED tea light instead of a candle. Or, give your pumpkin extra pizzazz with a special effects battery operated light. When crafting the perfect pumpkin consider buying an extra one to make sure you have enough parts to make noses, hats, glasses and whatever other accessories your pumpkin might need. It’s also a good idea to have a spare pumpkin in case you need to start over – especially if it’s near to Halloween and the shops are running short. 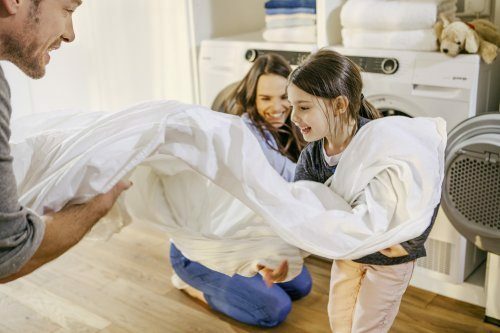 Using the above tips and tricks will make sure the whole family has a Spooktacular Halloween! 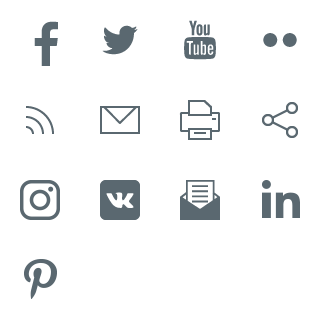 For more information follow us on Twitter and Facebook.